If you are tilting an array please read my page about how to calculate row spacing. 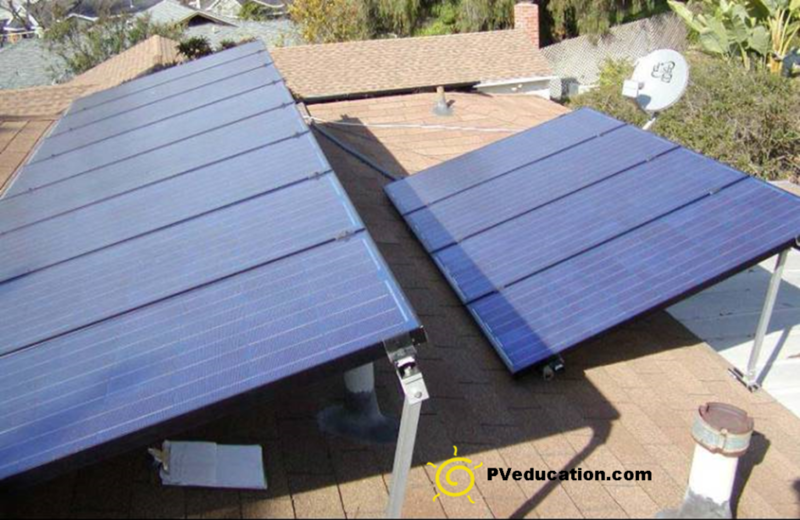 In this case not enough space was provided between the rows based on the tilt angle of the solar modules. Something else to keep in mind when tilting an array like this and it is even more critical the higher the tilt is the additional wide forces. As the array tilts the additional exposed area will catch more wind. I don’t know the site specifics here but I’d be willing to bet additional roof attachments were not provided to spread the forces over the roof so I hope the wind never blows very hard at this site.